No matter what type of HVAC system you have heating and cooling your home, there is a chance that it’s time to upgrade or replace your system. However, it’s important to know what signs to look for as some symptoms may be more indicative of maintenance needs and don’t warrant a new system. Read below to learn what the warning signs are and what you should do about them. Quality air conditioners are built to last 10 to 20 years depending on the level of care and maintenance your unit receives. Keeping your HVAC system well-maintained with regular inspections and cleanings from a licensed professional will certainly extend the life of your unit. But like automobiles, even the best-cared-for units will eventually lose efficiency or completely break down over time. Many people find themselves having to figure out if it’s in their best interest to repair their unit or replace it. Make sure to consider the cost and frequency of needed repairs. If you are having to shell out half the cost of a new unit in repairs every year or two, it may be in your best interest to go ahead and get a new unit. One reason you may want to consider replacing your air conditioner or furnace is that you’ve noticed your utility bills getting higher but your utility company hasn’t raised their rates. You may also notice that your air conditioner, for example, runs constantly but there is little or no change in your home’s temperature. The bad news is you may be wasting money. The good news is that there’s a way to measure efficiency. Energy efficiency for air conditioners is measured by the Seasonal Energy Efficiency Ration (SEER). The higher the SEER rating, the more energy efficient your air conditioner is. Federal regulations require a minimum rating of 13, but many older air conditioners rate less than a 10. Make sure you know your rating. It may make the decision to repair or replace for you. 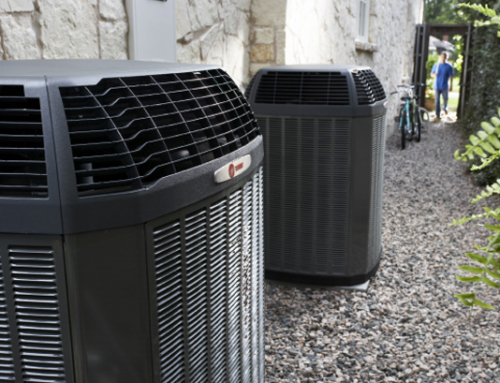 The size of your home directly affects the size of HVAC system you need. If your system is too big, it could short cycle, leading to potential early breakdowns. If it’s too small, you’ll be hot in the summer and cold in the winter. Even if you’re adding just one room to your house, you should have your unit inspected to make sure it’s the right size, especially if you have an older unit. A licensed professional can do a Manual J Load calculation to determine if you need a different size. Energy Star estimates a 20% savings on your heating and cooling costs when you buy a new unit. 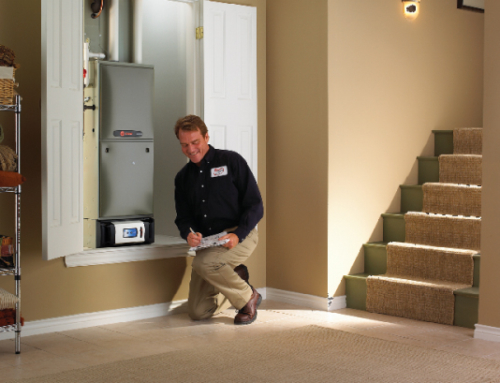 You may qualify for tax credits based on current incentives offered by the federal government, providing you install an approved Energy Star rated furnace. The quickest way to get out of constantly paying for repairs is to replace your system and enroll in a service agreement to keep it at peek performance. The one surefire way to know if you should repair or replace your HVAC is to speak with a trusted, local, and licensed professional. They will be able to give you the best advice on your unit’s condition after a thorough inspection. 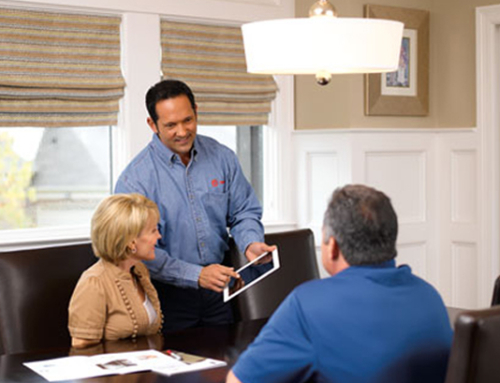 If you have questions about the age and efficiency of your HVAC unit, contact us today.